Ocean 14 condominiums in Jacksonville Beach, Florida. 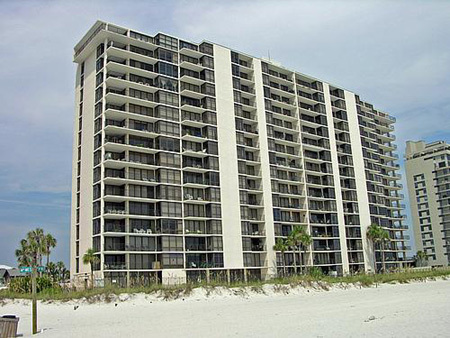 Ocean 14 is an oceanfront condominium in Jacksonville Beach. This 16-story building offers panoramic views of the Atlantic Ocean from your wrap around balcony, oceanside pool, and two surface parking space for each residence. Garage is available for purchase from the $30's.